A view over the Streizelmarkrt in Dresden. 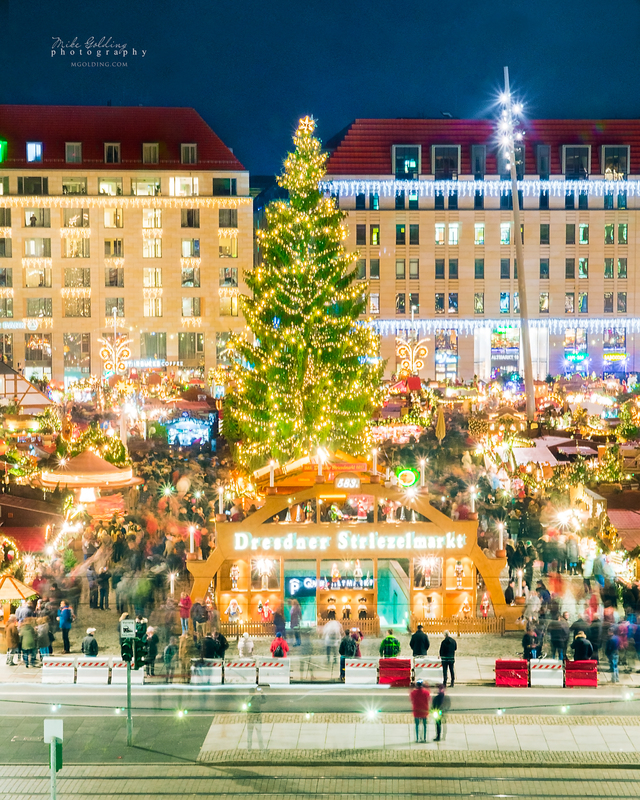 This is the oldest Christmas market in Germany and this is the 583rd Year it has been here. Wow. This is view is from the Kulturpalast opposite and this shot is only possible through the window so it is extremely hard to get a perfect image from here. However, its good enough and I hope you enjoy the view.